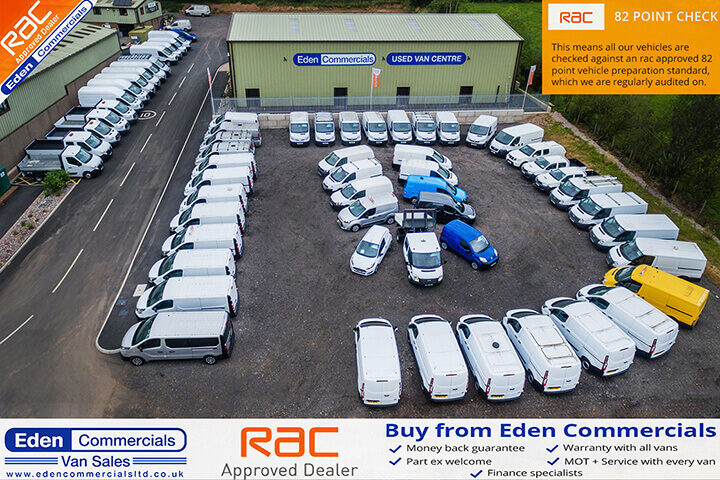 Eden Commercials are independent suppliers of quality used commercial vehicles to both the trade and public at some of the best prices in the UK. We are fully approved and regulated by the FCA which means we can offer very competitive finance deals on all or used vans. Every vehicle sold by us will undergo a full sales inspection, major service and MOT where necessary prior to you completing a purchase. Most are ready for sale so can be collected the same day if not we offer a very fast turn around & delivery throughout the UK is possible. We offer warranties on all of our used vehicles and want you to be 100% happy with your purchase. All our stock is sourced directly from major leasing & national companies with full service histories & only 1 previous owner, this way you can ensure the vehicles have been maintained regardless of cost.